The sample of shooters has grown from 10 to 48. The book investigates school shooters through the lifespan, from age 11 to 62. It includes attacks not only from the USA, but also 10 rampages from 5 other countries (Canada, Germany, Finland, Scotland, and Brazil), providing an international scope. Though most shooters are males, the book includes profiles of 4 female shooters and compares them to male perpetrators. The chronology of attacks extends from 1966 through 2012. The 48 shooters are grouped into three populations: secondary school shooters, college shooters, and aberrant adult shooters. Were most shooters really white males? Middle class? Loners? Who were the most frequently targeted victims? Which type of shooter was most common? Which shooters were the most deadly? The most suicidal? Which type of perpetrator experienced the most peer harassment? Which committed the most peer harassment? What life experiences put them on the path of violence? What did the shooters have in common, regardless of their type or population? How did the attacks end? What did the perpetrators do when confronted by law enforcement? What do first responders need to be prepared for when dealing with a rampage shooter? A captivating read that reaches beyond the headlines and media coverage to reveal the larger context of the narrative … Langman leaves no stone unturned and no narrative unexplored as he lays out for his reader a well-reasoned and meticulously researched book that helps us all better understand what drives some to commit these horrific attacks. Work like Peter Langman’s is key, because understanding past attacks is essential to the prevention of future attacks. A welcome advance over the existing popular library of books about school shootings, many of which are grounded in hunch and fueled by hysteria. This volume features insightful analysis of schoolyard assailants, with carefully researched case studies, and should be of immense value to policy-makers and professionals alike. I, for one, will keep Langman’s School Shooters on my nearby bookshelf of favorites … One of the most important contributions to the fast-growing body of work on the topic of school violence. Langman dives deep into the backgrounds of our nation’s school shooters to analyze their mindsets, discover patterns and dispel common myths. He uncovers numerous critical misconceptions about school shooters and presents key findings to strengthen prevention and intervention practices for keeping schools safe. 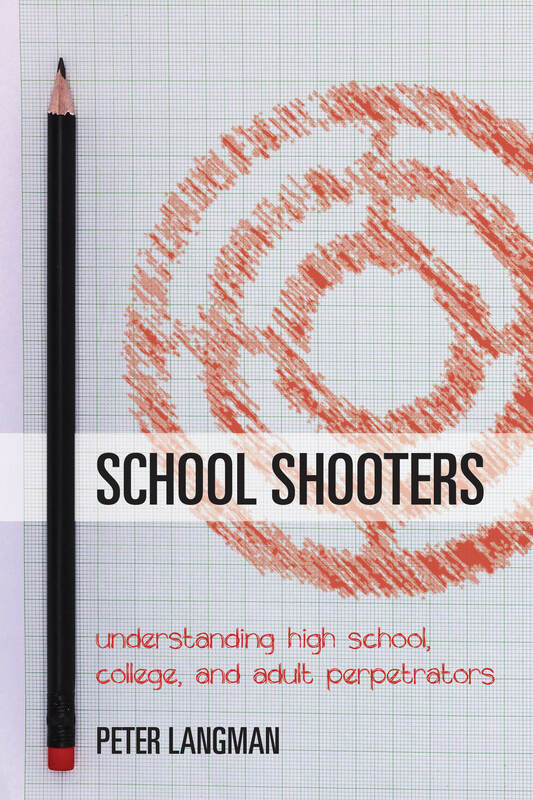 A powerful combination of social and psychological analysis that provides insights … and should be read by any concerned about the escalation of school violence. Copyright © 2008–2019 by Peter Langman, Ph.D. Published by Langman Psychological Associates, LLC.